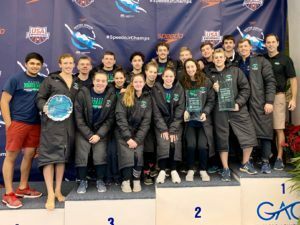 The Mason Manta Rays won the combined team title at 2018 Speedo Winter Junior Championships – East. 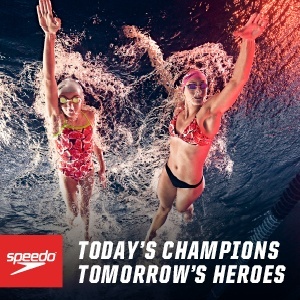 The Speedo 2018 Winter Junior Championships – East will get underway from Greensboro tonight, with just the 4×50 medley and 4×200 freestyle relays on the docket. The Nashville team of Alex Walsh (23.88), Ella Nelson (28.19), Lauren Hurt (24.75) and Gretchen Walsh (21.50) combined to win the women’s 200 medley relay by over a second in 1:38.32, as the older Walsh sister broke 24 seconds for the first time in a 50 back (previous best was 24.17). The TAC Titans tied with Chelsea Piers for 2nd in 1:39.53, both edging out Cardinal Aquatics (1:39.74) who were 4th. The Titans received some key legs from Maria Baric (27.63) on breast and Charlotte Hook (24.30) on fly, and then 14-year-old Claire Curzan anchored them home in 22.06. For Chelsea Piers, Maxine Parker highlighted their effort with a 22.08 anchor. Cardinal’s top splits came from Krista Wheeler (24.18) on back and Gabi Albiero (23.66) who had the fastest fly split in the field. The Mason Manta Rays chopped over half a second off the meet record to win the men’s event in 1:26.52, with some scorching splits all-around from Carson Foster (21.76), Jake Foster (23.79), Jacob McDonald (21.88) and Adam Chaney (19.09). The lead-off for Carson improves his previous 50 back best by .04, and his leg along with Jake’s and Chaney’s were the fastest in the field. 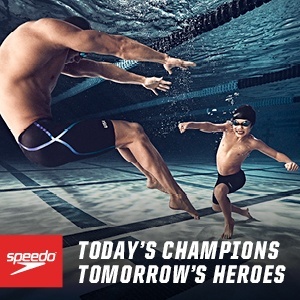 The time for the Manta Rays also left them just .05 off of the boys 15-18 National Age Group Record of 1:26.47 set by Nation’s Capital in 2015. Enfinity Aquatic Club pulled out 2nd place from the 2nd-fastest seeded heat, with a quick lead leg from Thomas Hamlet (22.10), and then a blazing 20.89 fly split from Max Edwards. Preston Forst brought them home sub-20 in 19.81 for a final time of 1:29.06. Edwards’ fly split stood up as the fastest in the field. Michigan Lakeshore was the only other team to get under 1:30 for 3rd in 1:29.88, led by Khadin Soto‘s 24.94 breast leg and Cam Peel‘s 19.59 on the freestyle. Gretchen Walsh (1:47.01), Ella Nelson (1:48.22), Lauren Hurt (1:50.24) and Alex Walsh (1:46.22) came together to win their second consecutive relay in the 4×200 free, clocking a time of 7:11.69 to successfully defend their title. 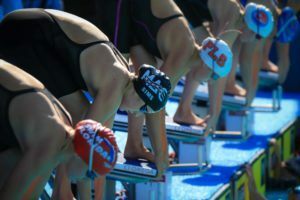 The SwimMAC ‘B’ team edged out their ‘A’ team as they both got on the podium in 2nd and 3rd. 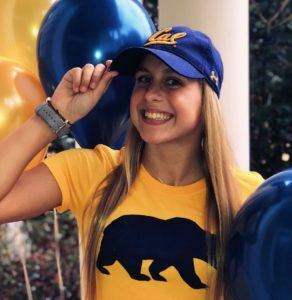 The fastest leg for the ‘B’ team came from Faith Hefner (1:47.99) swimming second, and Kensley Merritt was fastest for the ‘A’ team on the lead-off in 1:48.30. 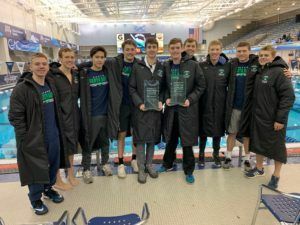 Shortly after their meet record setting swim in the 200 medley relay, the Mason Manta Ray boys were back at it again in the 800 free, smashing the boys 15-18 National Age Group Record of 6:28.25 in 6:23.97. Carson Foster led off in 1:34.04, just off his best of 1:33.76, and then Jake Foster (1:35.50), Jacob McDonald (1:38.02) and Adam Chaney (1:36.41) brought them in to break Carmel Swim Club’s mark from last year by over four seconds. Carmel did take 2nd here in 6:30.94, with their top splits coming from lead-off man Wyatt Davis (1:37.25) and Jake Mitchell (1:35.94) on the anchor. They pulled out this runner-up finish out of the 3rd seeded heat. SwimMAC (6:35.02) edged out the Dayton Raiders (6:35.21) for 3rd, getting a massive 1:34.59 anchor from John Walker. Wasnt too long ago that a 6:20 would be a really, really NCAA D1 relay time. Now an age group team is getting close.